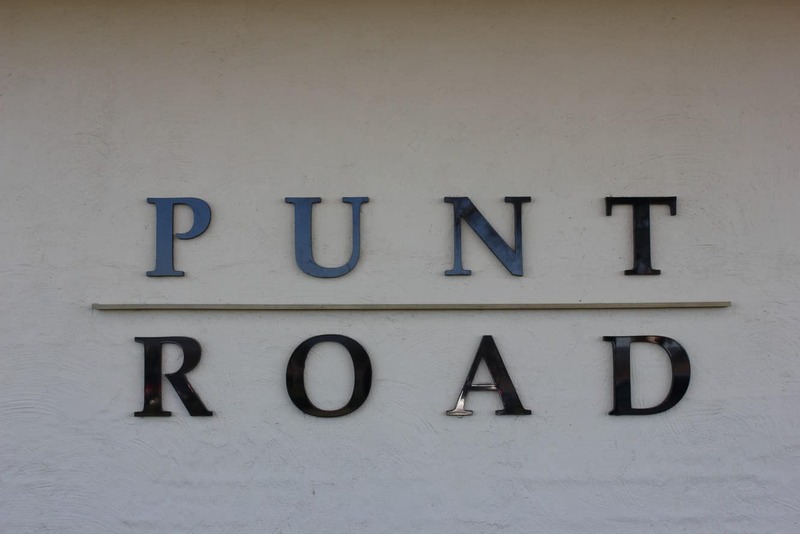 Punt Road Wines is a successful winery what has produced some of the finest quality wines in the last 10 years. With an aim to create many beautiful wines, the winery has always emphasised the quality, taste and precision of their wines. 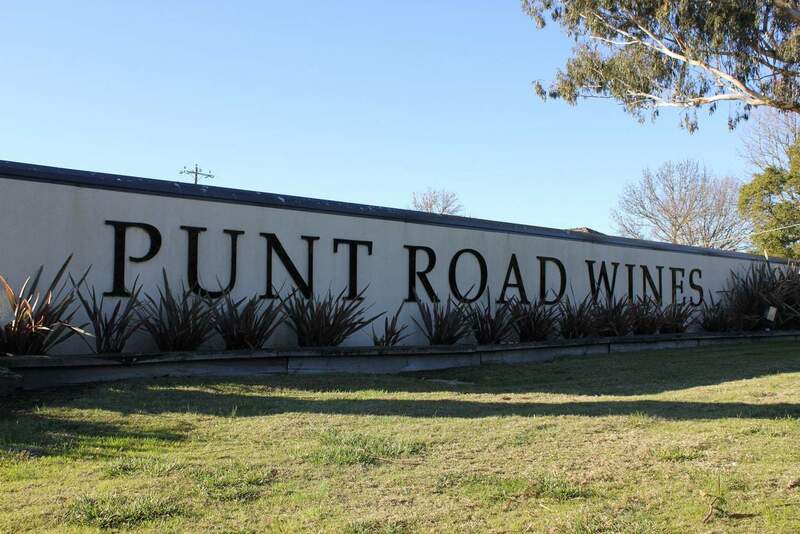 Sourcing small amounts of fruit from their own vines, Punt Road wines ensure a balance and consistency in style that has become a hallmark of their wines. The varieties of grapes planted at their vineyards include; Sauvignon Blanc, Pinot Gris, Chardonnay, Pinot Noir, Merlot, Shiraz, Cabernet Sauvignon, and small plantings of Petit Verdot, Viognier and Cabernet Franc. 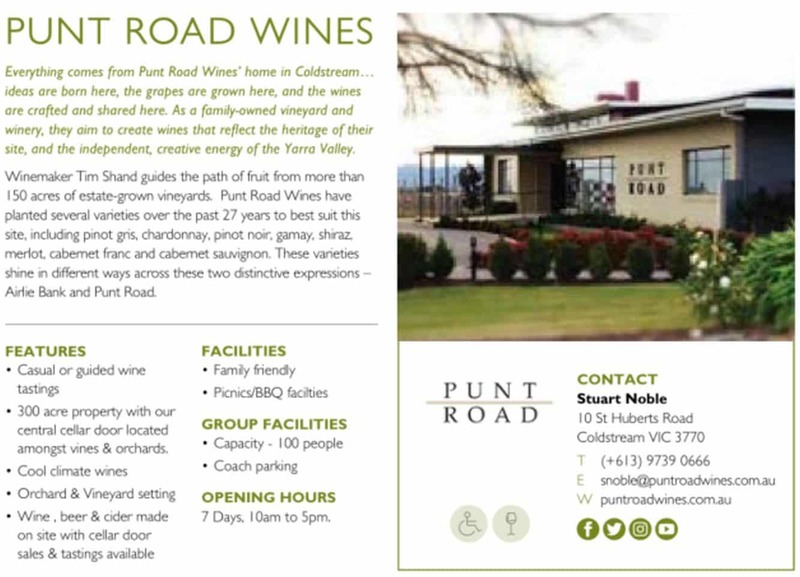 Located in the heart of the Yarra Valley, Punt Road’s cellar door provides a warm and friendly environment for a complete and relaxing wine-tasting experience. 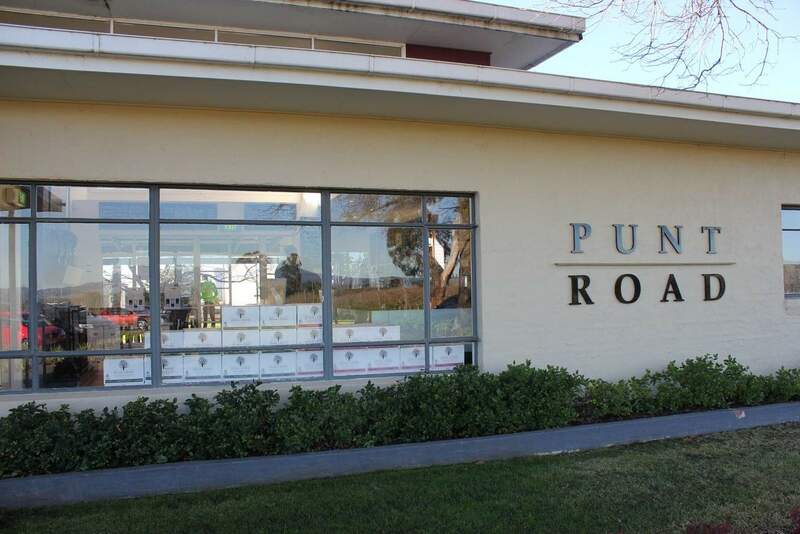 Their full Punt Road range is always available for tastings so why not grab a glass and match it with some of their delicious dairy cheese platters and relax in the outdoors. This beautiful property invites you to embark on a journey to explore the winery, meet the winemakers and staff, as well as taste some of their finest, award-winning wines.